Time is relative. 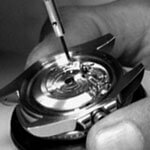 Timekeeping is not. Time is always a question of perspective – and sometimes, of the right watch. 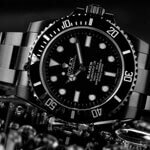 Avid travellers and globetrotters have to get their bearings in numerous time zones and adjust their watches time and again. 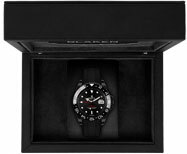 Unless they own a Blaken Red Rubber, which displays the time in three time zones down to the second, and two of them simultaneously, as a matter of fact. 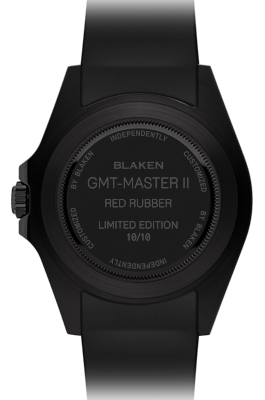 Alongside the classic hour, minute and second hands, the Blaken Red Rubber has an extra hand in the shape of asignal-red arrow, displaying the time in a second time zone. 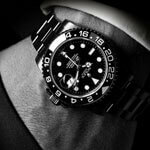 If required, the black rotatable bezel, with 24-hour scaling, can display the time in a third time zone. 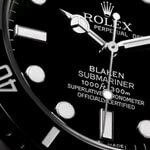 The elastic rubber wristband caresses the skin, meaning that superior timekeeping not only works accurately and reliably, but can also be worn comfortably on your wrist. 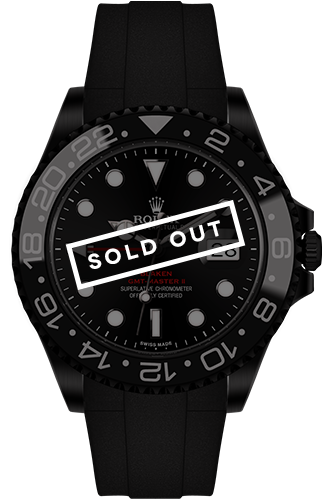 The Blaken Red Rubber with the typical Rolex Oysterlock clasp is limited to ten copies worldwide and is also protected by the patented DLC coating. Red RubberTime is relative. Timekeeping is not. signal-red arrow, displaying the time in a second time zone. 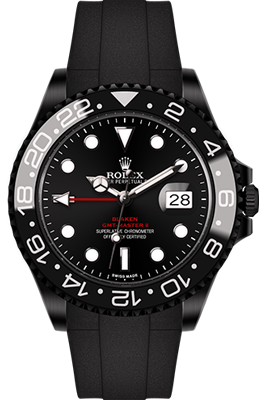 If required, the black rotatable bezel, with 24-hour scaling, can display the time in a third time zone.